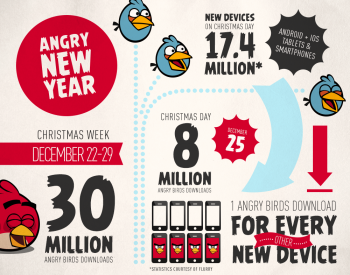 With 8 million downloads on Christmas alone, Angry Birds had a good week. Folks who celebrate Christmas love to talk about all the fun presents they got. What did you pick up this year? A new tablet? Some tickets to see your favorite band? A puppy? Well, whatever it was, keep it in perspective, because it's probably not as big as Rovio's Christmas haul. During the week surrounding Christmas, the Finnish developer moved 30 million copies of its flagship series Angry Birds, including 8 million downloads on Christmas Day alone. According to an infographic released by Rovio, the various Angry Birds titles scored 30 million downloads, presumably across all platforms, between December 22 and December 29, 2012. 8 million of these downloads took place on Christmas, but that's not necessarily the impressive part. Based on calculations from data analysis website Flurry, consumers activated 17.4 million new Android and iOS devices on Christmas. In essence, almost half of new smartphone and tablet owners wanted Angry Birds on their systems posthaste. While these numbers are impressive, Rovio does not specify how many of these downloads were paid, and how many were the free, ad-supported versions. Either way, it's probably fair to say that Rovio had a merry Christmas, and is well on its way to a happy new year. 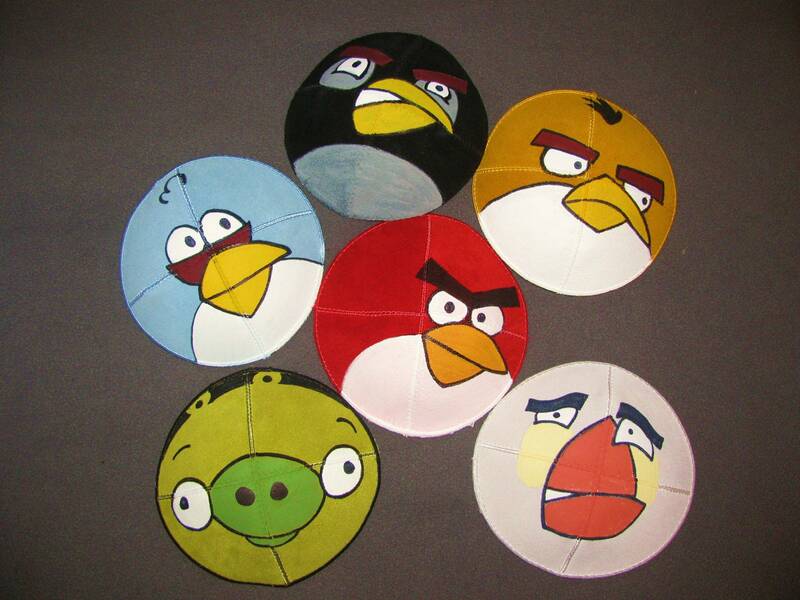 As for those Angry Birds fans who don't celebrate Christmas, don't worry: As always, the internet has got you covered.